Save money and add more keypads to your existing system by purchasing in bulk! 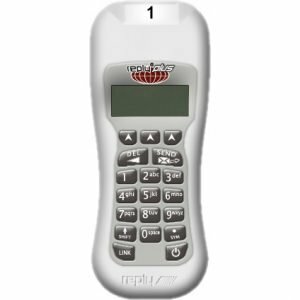 Offer includes 10 Wireless Audience response keypads featuring 2.4 GHz, Spread Spectrum, Frequency Hopping RF technology. 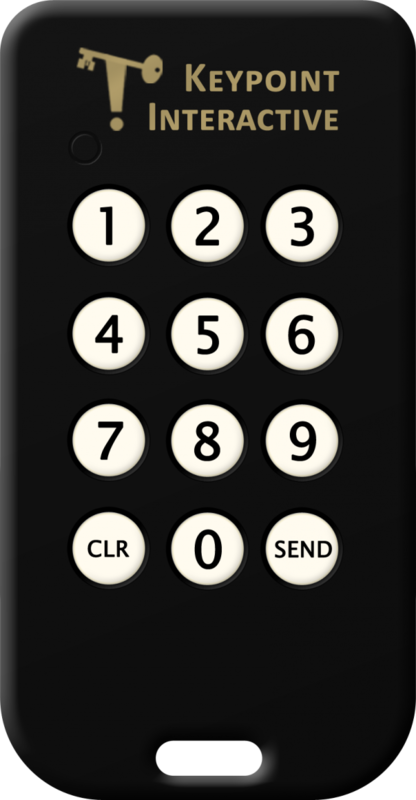 Save money and add more keypads to your existing system by purchasing in bulk! Offer includes 10 Wireless Audience response keypads featuring 2.4 GHz, Spread Spectrum, Frequency Hopping RF technology. Powered by one replaceable lithium coin cell battery. Works with WRS970-KPI and WRS971-KPI Keypoint Interactive transceivers. Compact case. Rugged ABS plastic construction. Dimensions: 3 in. L x 1.5 in. W x 0.4 in. H.
Weight: Less than 1 ounce (0.8 ounce /23 grams) with battery installed. Green and red LED lights to confirm user keypresses and indicate when the Base Station accepts the keypad’s inputs. Designed to operate in an indoor area 300 x 300 feet. Battery life is ~20,000 responses or battery shelf life, whichever comes first. Please call or specify channel and keypad number in notes during checkout.